Since acquiring Love Letter from Alderac Entertainment Group, we are excited to continue the tradition they put in place for Love Letter Wedding Edition. 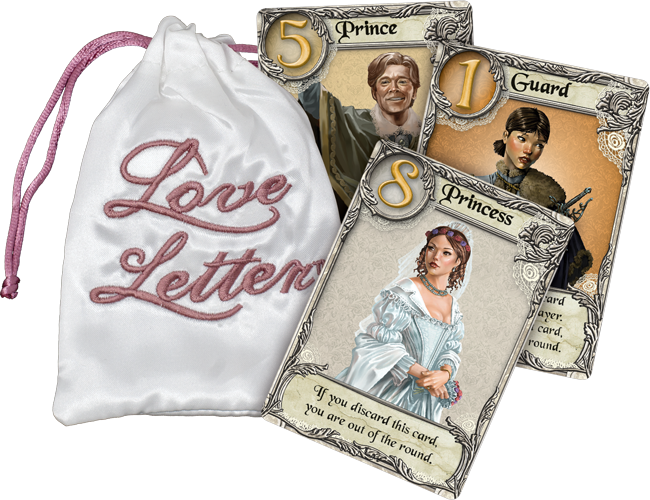 With its quick gameplay and romantic theme, Love Letter has become a perfect tie in for many gamers celebrating their marriage. The bag, card templates, and tokens have been changed to reflect the wedding theme, and the Princess has donned a gorgeous white wedding dress to walk down the aisle to the suitor who can claim her heart. Whether you want Love Letter Wedding Edition as party favors to give away at your own wedding or as a gift for friends or family, we’re happy to continue spreading the love with this unique version of the classic card game. 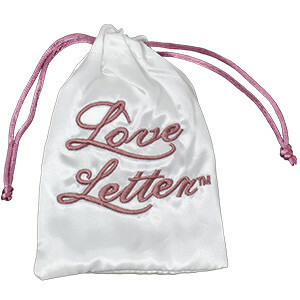 We’re excited to have Love Letter be part of your special day!